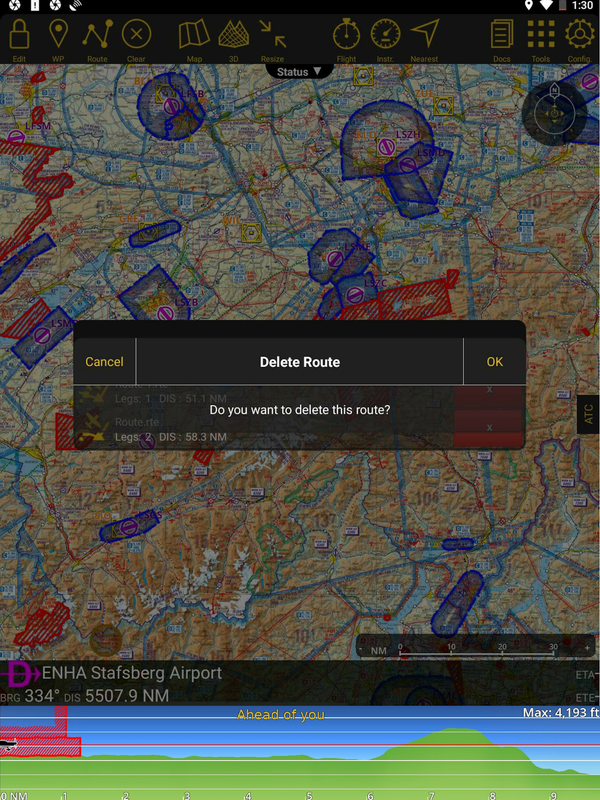 This year again, we will continue to provide our users the answers on how to make navigation smooth and convenient with Air Navigation Pro. 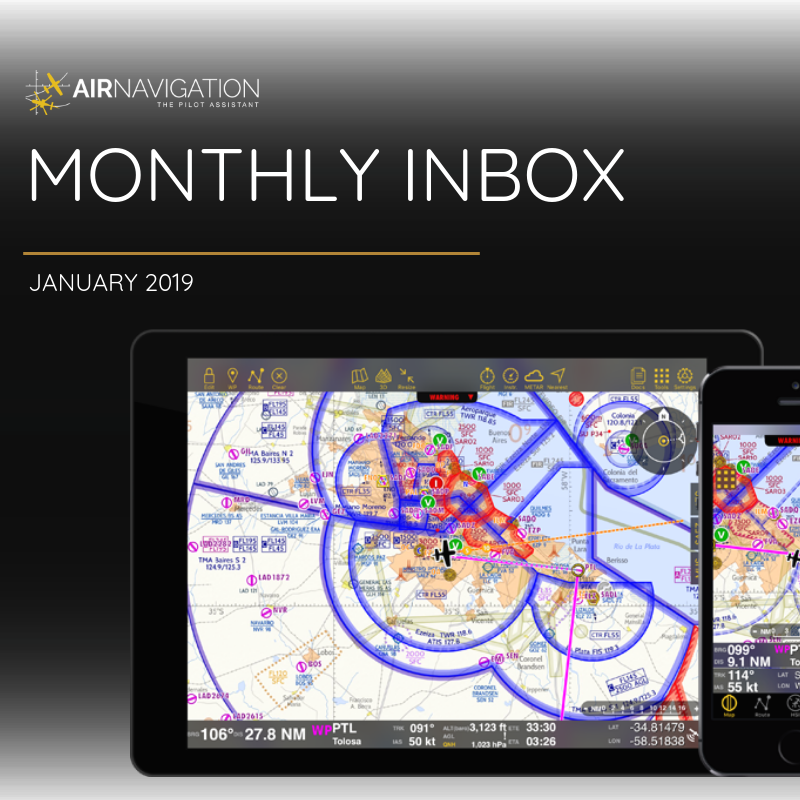 If you are new to Air Navigation Pro, you can look into this blog and find some of the frequently asked questions in our 2018 Monthly Inbox. As we kick start the year, we would like to thank all of you for reaching out to us, and helping us making Air Navigation Pro a better application. 1. 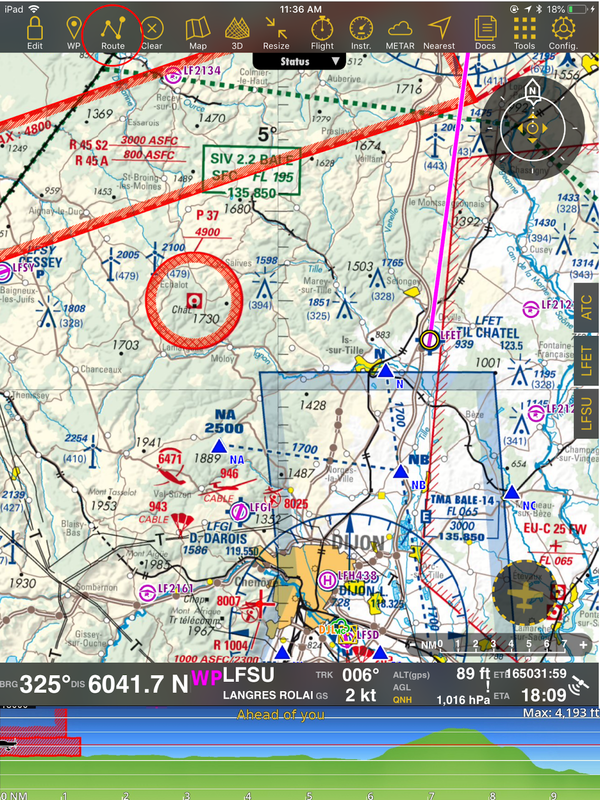 How to delete a saved VFR route on my flight planning application? 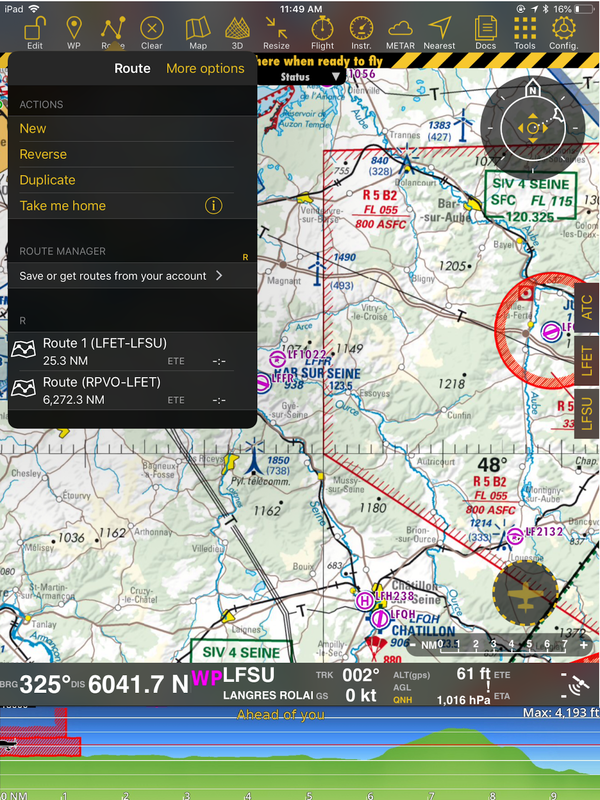 Air Navigation Pro allows you to create your own data through custom waypoint, and saved routes. 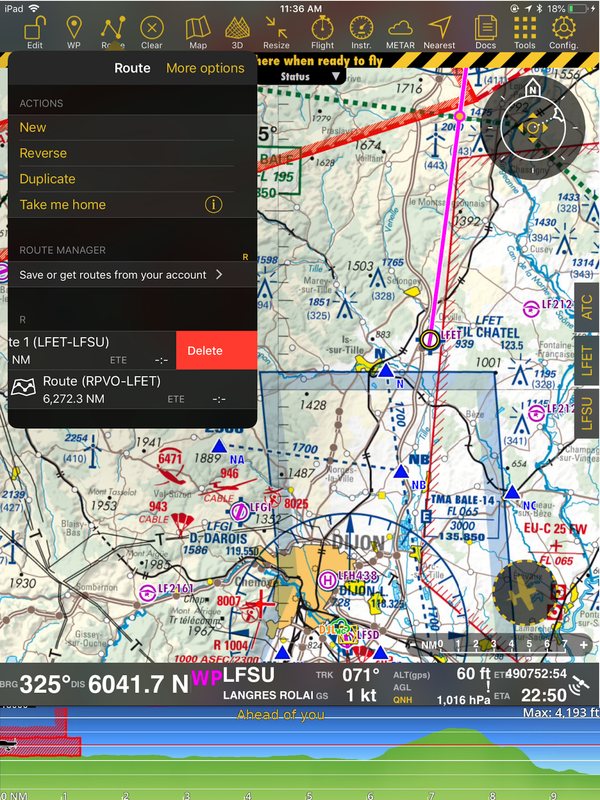 If you want to delete a saved route within the app, swipe from right to left under Route module on your iOS device. 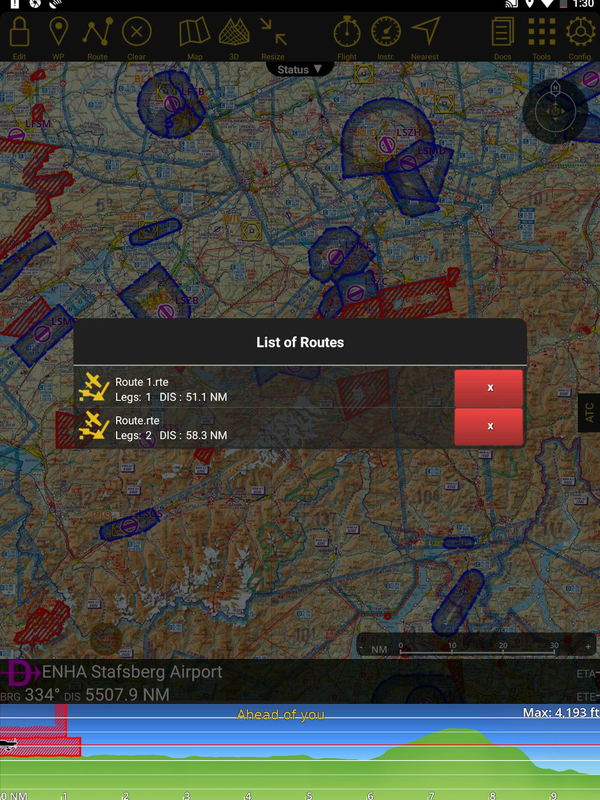 Click the Route icon to see the list of routes. Then, select the route that you want to remove. Swipe from right to left in order to delete it. For Routes saved on your account, you can delete it via the Services website. Login using your services account then go to Routes. Select the Route that you want to delete and click the delete button. Go back to the app and check the deleted route. In your Android device, under route module, tap X from each route to delete. 2. 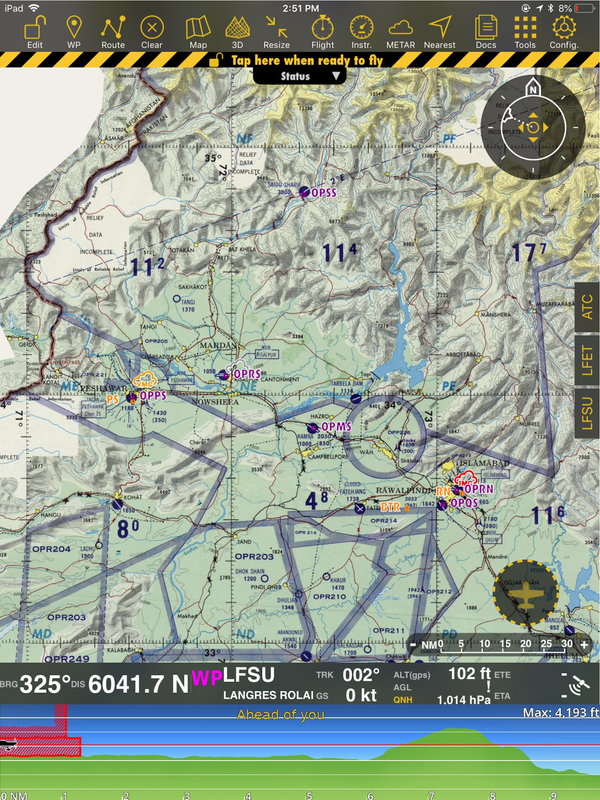 How to use the Obstacles database for my VFR flights? VFR flights require pilots to constantly keep their eyes outside the cockpit to navigate, control the aircraft's altitude, and to avoid obstacles and other aircrafts. With Air Navigation Pro, you can acquire the Obstacles Database if you purchase the Premium Country Package in selected countries like France, Switzerland, Norway and Finland or, you can purchase it as an individual product in our Store. Once installed, toggle on the button "Obstacles" under Map options. 3. How can I import airspace files to my Air Navigation Pro app? For the meantime, importing airspace files is only available in Air Navigation Pro iOS version. 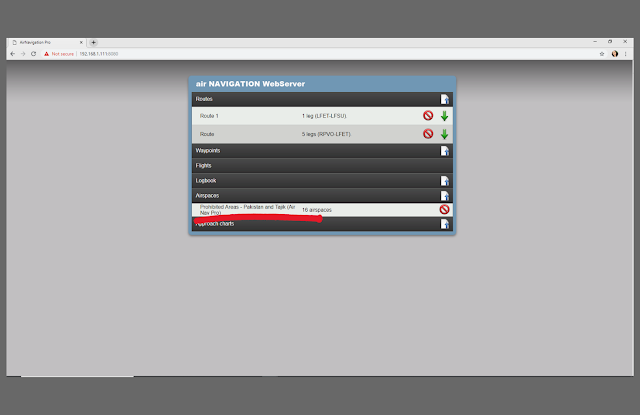 You can import airspaces files through the embedded Webserver, in the <Airspace> tab. To access the Webserver, enable it in on your Air navigation Pro device. Go to Configuration >> Settings >> scroll down to see "Data import/export over http"
Enable the Data import/export setting then copy the website URL. To access the embedded web server, type the address in the URL bar. After that, Air Navigation website should appear in your browser. To import a file, press the file icon with the blue arrow on the right side of the Airspaces row. A popup will appear on top of the page. Chose the file that you want to import. 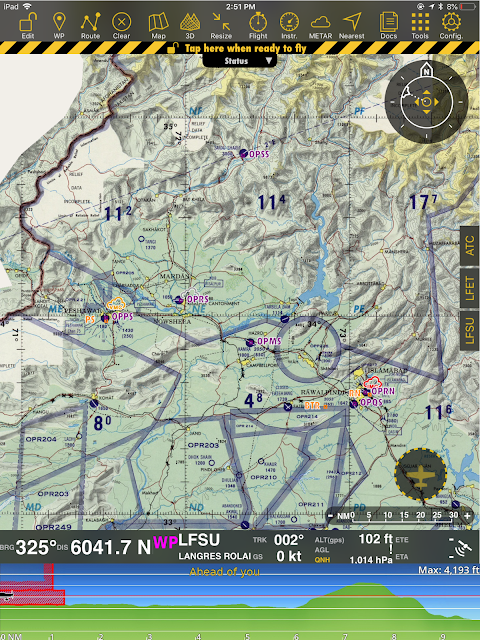 Air Navigation is compatible with two well known Airspace file formats: OpenAir and Tim Newport-Peace. OpenAir files must have a ".txt" file extension. While Tim Newport-Peace must have an "air" file extension. Make sure not to include special characters in the file name. After importing, the chosen file will automatically appear in the Webserver. You can check the imported airspace file on your Air Navigation Pro app. 4. How can I remove the imported airspace file from the app? 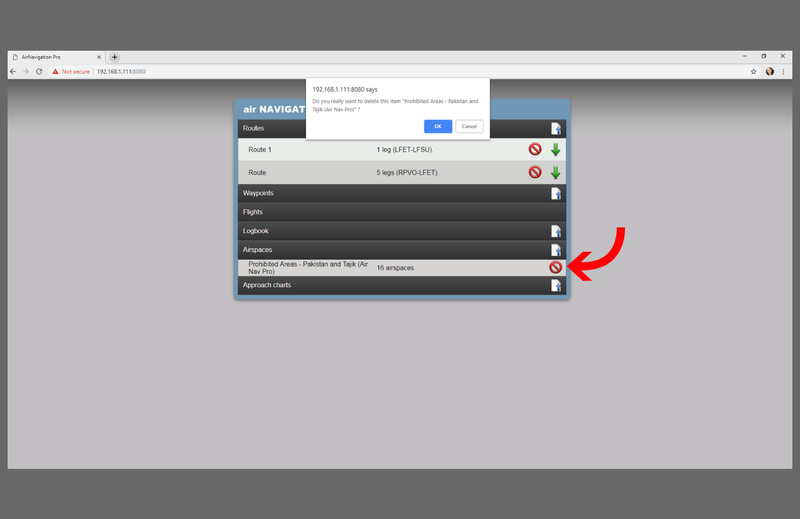 Same with importing, in order to remove the imported files from the app, delete them via the Webserver. Once deleted, it will no longer display both in the Webserver and in the app. At the moment, special characters in the file name are not yet supported. 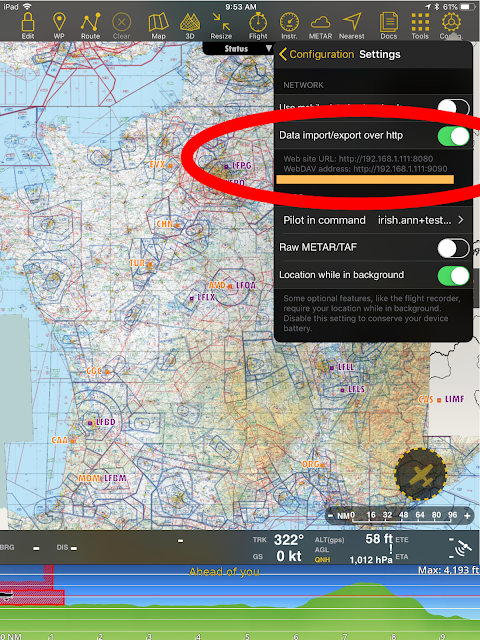 As workaround, before importing airspace files, rename them first with an alphanumeric characters so that airspace files will no longer appear from the app when imported files are deleted via Webserver. For more information about the Embedded Webserver, please read the user manual here. 5. "I have already subscribed to Air Navigation Pro Aeronautical Database and I currently have more than 3 months left within my subscription. I want to purchase the country package in PlayStore, could you explain how your pricing works for this?" Answer: Since you still have more than 3 months left in your first subscription, then the expiration date of the country package will be carried over to your first subscription, giving you the same expiration date. "I have already subscribed to Air Navigation Pro Aeronautical Database and I currently have less than 3 months remaining from my subscription. I want to purchase the country package in PlayStore, could you explain how your pricing works for this?" Answer: The remaining months left from your first subscription (Aeronautical Database) will be added on top of the whole year of the new package (Country Package) expiration date.